From evolution to vaccinations to global warming, something I encounter on a regular basis on television and the internet is denialism, rejecting the scientific evidence in favor of an alternative… an alternative which could be anything from pure woo to scientific-sounding arguments: “Just have faith” to “irreducible complexity.” Denialism is something that invariably causes a collective sigh an eye roll from the skeptic community because logical and fact-based responses seem to have no effect on denialists. Almost everyone laughs at Flat-Earthers, people who actually believe that the Earth is flat despite all evidence to the contrary. Most people also laugh at the Moon-Hoaxers, the folks who think that we never landed on the moon and that it’s all just a conspiracy with elaborately faked footage, photos, and reports. Conspiracy theorists in general provide a good laugh for most rational people, whether it’s talk of alien abductions, secret government programs with captured spaceships, crop circles, the Illuminati taking control of the world, or government mind control drugs in public water. There’s a long history of conspiracy theory and one would think that that history would be just that… history… a thing of the past. Barring a few fringe groups, we don’t expect to see people outright denying scientifically proven facts or making accusations of secret, intricate, tangled webs of clockwork precision government cover-ups. Yet we have just that… and not just among small “fringe” groups. Here’s a short list (in addition to the ones already mentioned). 9/11 Conspiracy Theorists – claim that the US government caused the twin towers to collapse. 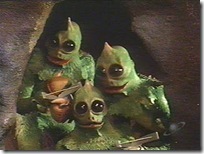 Lizard-People Conspiracy Theorists – claim that lizard-people are running the world (seriously). AIDS Conspiracy Theorists – claim that AIDS is a man-made disease cooked up in a lab. Obama Birthers – deny that Obama is a US citizen (or that it hasn’t been documented). Global Warming Deniers – deny that global warming is occurring or is affected by human activity. Creationism Proponents – deny that evolution by natural selection explains the diversity of life on Earth. Holocaust Deniers – claim the Holocaust never happened. 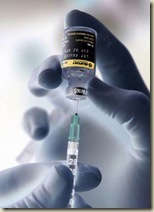 Anti-Vaxxers – claim that vaccines cause autism. 2012 Alarmists – claim that, since the Mayan calendar ends in December of 2012, the world will end. I’m sure there are many more. Some of the ideas are absurd because of historical evidence, some because of scientific evidence, and some because of their sheer implausibility (backed up by no evidence). Some are combinations. A common thread, however, is that each of them ignores or denies actual evidence contradictory to its premise. In some cases, their proponents will fabricate evidence, making scientific or historical claims that are patently false in an attempt to bolster their case. Using outdated, no-longer-relevant data is also a common tactic, whether through ignorance or malicious intent. What is the motivation for people to believe and perpetuate these absurd claims? Sometimes it’s politics. Sometimes it’s religion. Sometimes it’s an overactive imagination. There are plenty of other psychological reasons proposed. Is this a big deal? 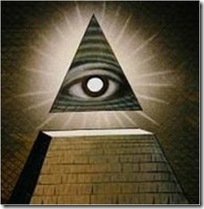 Are conspiracy theories just good fun or are they harmful or dangerous? In some cases, like the lizard-people idea, they’re harmlessly silly and don’t gain enough traction in popular culture to cause anything other than snickering and pretend horror. In other cases, such as Holocaust deniers and 9/11 conspiracy theorists, they can cause emotional pain for those who are close to the event in question. In the worse cases, the conspiracy theories can gain enough traction to cause political turmoil, educational degradation, and even health risks. Global warming deniers, creationists, and anti-vaxxers are perfect examples of these. Potentially dangerous effects aside, these conspiracy theories show a lack of critical thinking skills and/or a lack of understanding of science. Perhaps they demonstrate an innate distrust for any authority figure… to the point of automatically assuming that anything said by an authority figure is innately false or misleading (regardless of whether or not the figure in question has anything to gain by misleading the public). Perhaps they simply indicate a complete lack of curiosity, their proponents believing everything they hear without any skepticism at all. Politics and religion can also entrench someone firmly in a position that is rationally indefensible. It’s the groups whose ideas have a tangible, negative effect on society that concern me the most. Folks who believe that lizard-people are controlling the Earth are relatively harmless and somewhat amusing. It’s the people who think that our activities don’t have an affect on our planet’s warming and who want to block any action we could take to limit that affect… or it’s those who feel that it’s okay to teach our children that our world was created by magic, corrupting science education, instead of teaching them the real science behind the wondrous way in which life evolved on our planet… or it’s the people who publicly mislead doting parents with bogus claims that childhood vaccines cause autism, leading those parents to forgo protecting their children which, in turn, leads to everyone else’s health being put in danger. Those are the conspiracy theorists that I have a problem with. Those are the people who have a detrimental effect on society. Those are the people whose blindness to rationality, evidence, and critical thinking cause harm to the rest of the world. They cheapen our existence, mislead our children, endanger our health, corrupt our national discourse, and create hostile divisions where there should be none… and they will defend their absurd positions with a ferocious certainty that is completely unwarranted by evidence. What’s the solution? In my opinion… education. Starting in grade school, children need to be taught how to think, not what to think. Critical thinking skills are… well… critical. The scientific method needs to be understood… not just science facts, but the why and how of the facts. And these skills need to be taught, not just to school children, but to adults. As for those adults who refuse to accept evidence and continue to scream their absurdities from the rooftops, they need to be countered… loudly, frequently, and eloquently. We cannot silence them by removing their right to free speech, but we can do everything in our power to point out their muddled thinking, debunk their bogus conclusions, and reveal them for the charlatans they are. They should be embarrassed by their own silliness and we need to hold up a mirror to them, giving them a perfect view of their intellectual ugliness. They will complain, accuse, deny, quite possibly lie… and they will be loud. We need to be louder. Note: Cross posted from Rationality Now.